Indigestion, Its causes and cure with homeopathic remedies. 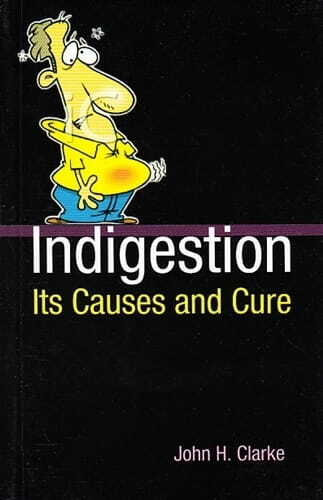 The book describes indigestion and its causes in brief & the homeopathic treatment of the various types of indigestion, highly illustrative case notes of homeopathic treatment of indigestion, recommendations for diet as well as a materia medica of the foremost indigestion remedies. After describing the normal process of digestion, the author also goes on to sketch the various deviations from the normal and to show how they may be avoided and how to cure. Few cases have been given for practical guidelines. Suggests treatment of indigestion with illustrative cases Diet in dyspepsia Short materia medica of indigestion with particular indications Dr. John Henry Clarke (1853-1931) was editor of "Homoeopathic World;' for 29 years from 1885 to 1898 and again from 1923 until his death in 1931. He was a consulting physician in London Homeopathic Hospital. He is the author of "A Dictionary of Practical Materia Medica" and "The Prescriber". He was a highly regarded practitioner and author, who fought for homeopathy constantly, often to his own detriment. He was very supportive of the lay movement believing that as long as homeopathy was practiced it didn't matter if it came from a qualified prescriber or not and most of his books are written for the lay person.